Victoria Beckham sported this very turtleneck sweater only recently, pictured with son Brooklyn at her Dover street store in London. It hails from the British designer's Resort '19 collection and was part of an all-red look - boots and midi skirt included. 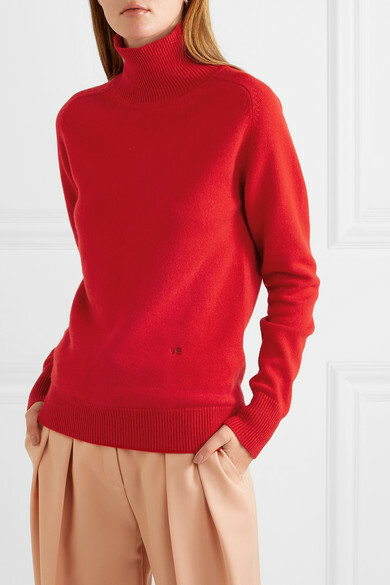 Knitted in England, it's spun for a slightly loose fit from soft cashmere enhanced with a touch of stretch. 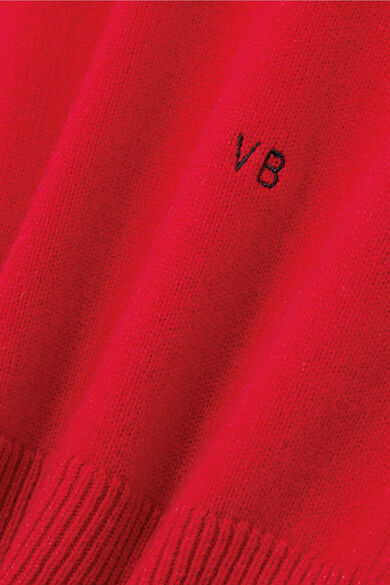 The 'VB' embroidery at the hem nods to the Lady in Red herself. 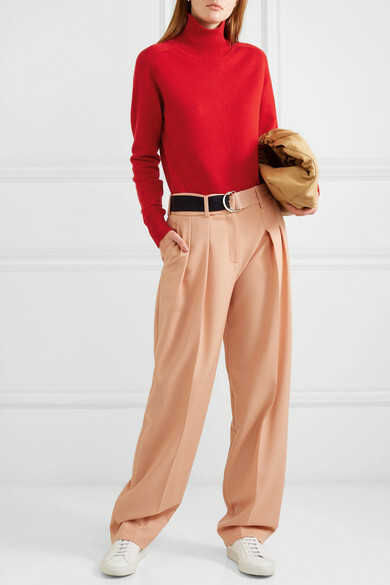 Shown here with: Victoria, Victoria Beckham Pants, The Row Tote, Common Projects Sneakers, Jennifer Fisher Earrings.